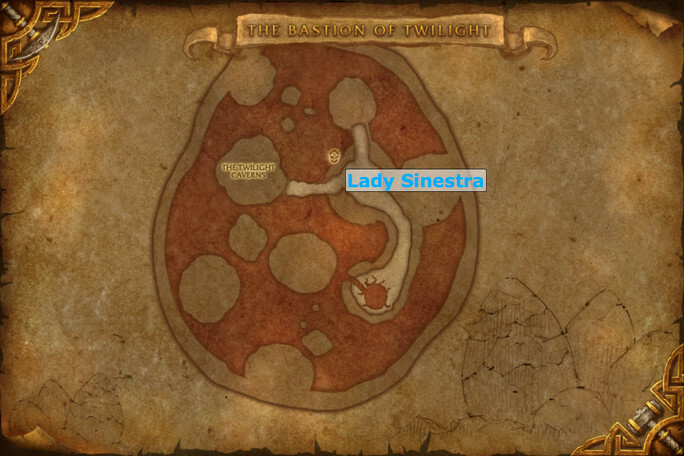 The Bastion of Twilight is a 10 and 25 man raid instance introduced into the game at the release of World of Warcraft: Cataclysm. The instance is located in the Southwest of the Twilight Highlands, and is only accessible by flying mount. Together with Blacking Descent and Throne of the Four Winds, it is part of the first raiding tier of the expansion. The Bastion of Twilight houses a total of 4 bosses on normal difficulty, while on heroic difficulty a 5th boss also becomes available. The layout of the instance is linear, meaning that the bosses can only be attempted in a specific order, and no bosses can be skipped. All raids will have to begin by defeating Halfus Wyrmbreaker, an encounter which will act mostly as a gear check as well as a basic check of the ability of your raid's various roles. 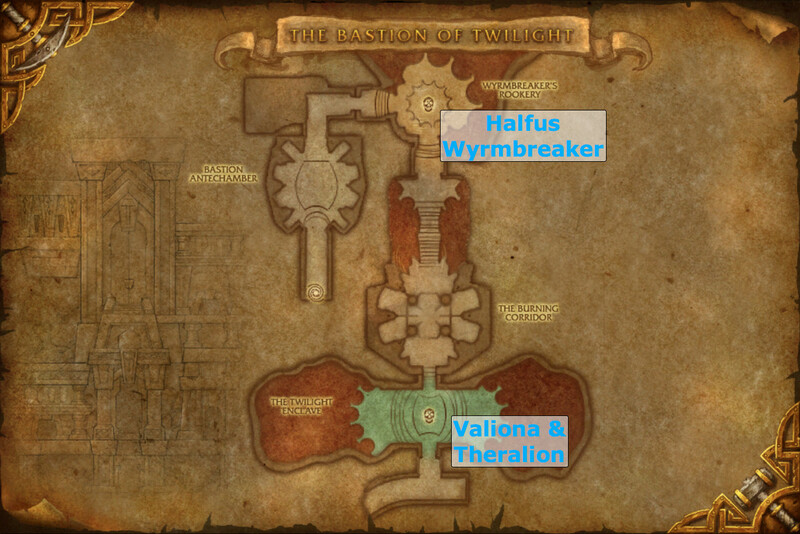 Once Halfus Wyrmbreaker is defeated, your raid will have to go through a gauntlet event, leading up to the next boss encounter, the twin dragons, Valiona and Theralion. This encounter is one that deals mostly with correct positioning and reactivity to boss abilities which require correct movement. 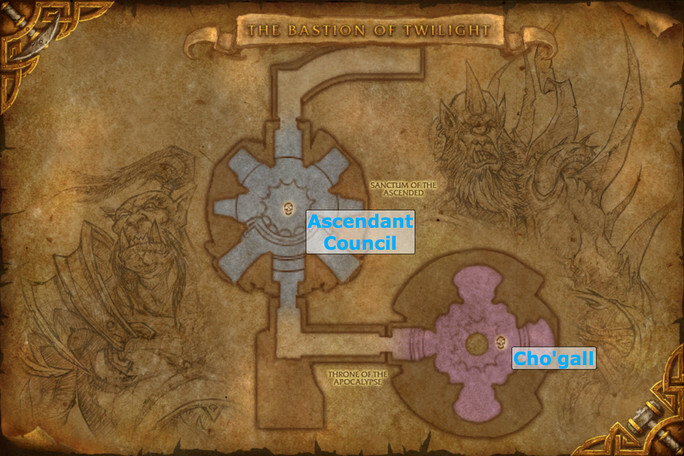 Defeating Valiona and Theralion will grant your raid access to the next boss encounter, The Twilight Ascended Council, which is, as the name suggests, a council-type encounter. This encounter will mainly test your raid's ability to focus DPS on the correct target, as well as to stop DPS at the required times. In addition, it presents a rather strenous and intensive nuking phase at the end. Finally, your raid will face Cho'gall, the last boss the raid instance. The Cho'gall encounter, despite many complexities and tasks that your raid members will need to peform, is arguably less difficult than either of the other two end bosses, Al'Akir and Nefarian. In addition to this, if your raid defeats Cho'gall on heroic difficulty, it will gain access to a heroic-only boss, Lady Sinestra.